Resurrection Lab v0.1 is a project initiated by iMAL to answer to the current issues surrounding the preservation of digital art and its public access. Born-digital objects are subjected to constant technological changes and rapid obsolescence of the equipment and software they depend on. Their life expectancy is therefore unpredictable and in most cases very short. Over the last few years the debate on Cultural Heritage in the Digital Age has received more attention (e.g. Unesco 2012, re-collection, evanescent culture,...) and has become a decisive question for many cultural institutions in the 21st century (e.g. zkm, DCA project,...). Without substantial R&D effort in preservation methodologies and technologies, without political decisions regarding software publishers, main internet actors and IPR issues, without a profound analysis of the roles and actions of museums for born-digital content, born-digital art will soon be dead, lost for future generations. The project aims to develop methodologies, tools and techniques for preserving born-digital art as well as providing public access to it. Our first practical case study will be on the born-digital software arts produced in the 90's, mostly published on floppy disks and cd-roms for the Personal Computer which are no more readable on contemporary computers and operating systems. iMAL has a very large collection of these digital objects and there is an urgency in preserving them while the actors who created, developed and produced them 20 years ago are still there. Practically, besides collecting the historical and contextual information around these software-based artworks, we also work on a framework on how to capture their digital images and execution environment in order to be able to render them with the latest emulations technologies. iMAL is collaborating closely with various research groups working on emulation in the cloud, in particular the computer science team of the University of Freiburg which is developing the bwFLA project, an advanced platform on emulation as an online service. The results are highly encouraging and open up new possibilities for offering public access to early digital content through the web. 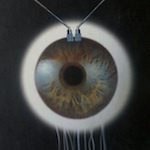 In a way, this online born-digital art collection can be seen as a prototype of the museum of the future. However, the path for such an on-line collection is long: we need progress in basic emulation softwares and the emulation as service platform, in digital capturing methodologies and ressources for a cloud infrastructure with powerful servers and high bandwith to support the connexions of many users. We are very happy to present some of our first results with the bwFLA platform. The examples below are directly playable in your browser (Chrome only, read the instructions) and demonstrate the feasability of an online collection of born-digital arts that anyone could experience in a rendering quality very similar to the original works. Warning: the bwFLA servers at University of Freiburg which host these emulation in the cloud can not support many simultaneous sessions. So if this do not work, be patient, come back and try later. This cd-rom explores the inscription of historical narrative through the process of archive construction. It reflects the author's hybridized history in relation to the Cold War through the collection of documents gathered during the past 20 years. It uses as a UI metaphor the museum as an architectural model and its floorplan as a conceptual space. This cd-rom is an interactive investigation into the life of Rosalind Brodsky (an alter ego Suzanne Tresiter invented in 1995 with whom she shares similar Anglo/Eastern European/Jewish roots), a delusional time traveller who believes herself to be working at the Institute of Militronics and Advanced Time Interventionality (IMATI) in the 21st century. . The cd-rom of the Lyon contemporary art Biennale proposes the works of 63 artists with interactive video interviews, photos, texts and audiovisual documents. The cd-rom is an experimental new media work matching the nature of the exhibited artworks using new technologies. Kaos 3 - Action Poétique (January 1993) by Jean-Pierre Balpe and contributors. This electronic literature magazine was published on floppy by the company Kaos as a new year electronic postcard. Realised by Jean-Pierre Balpe, the father of automatic literary text generation, the issue #3 for Apple Mac proposes generators by different authors. 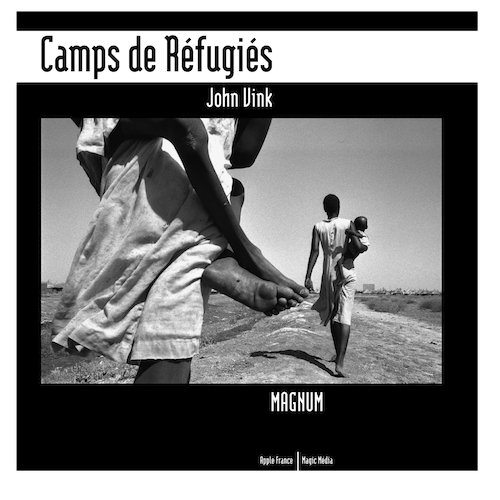 Camps de Réfugiés (1994) by John Vink and Magic Media, published by Apple France. This cd-rom (in French) was one of the very first hypermedia essay in photojournalism proposing a rich multimedia experience around 300 pictures by photographer John Vink from Magnum.